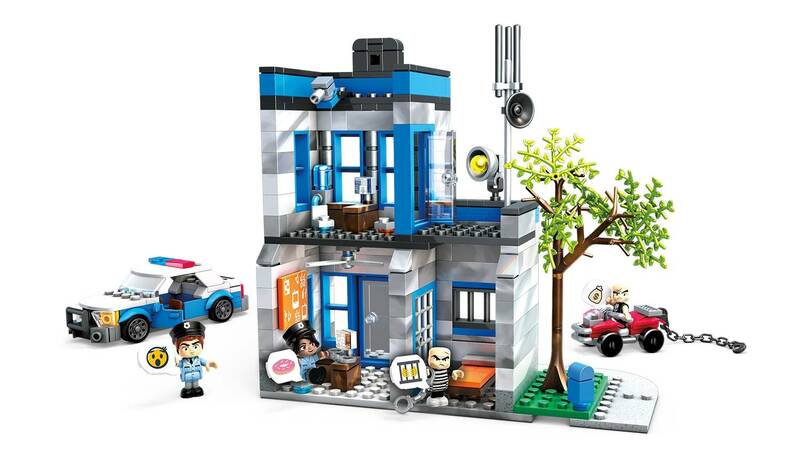 A breakout’s in progress at the city police station! When 2 prisoners make a break for it, it’s up to the police to save the day. 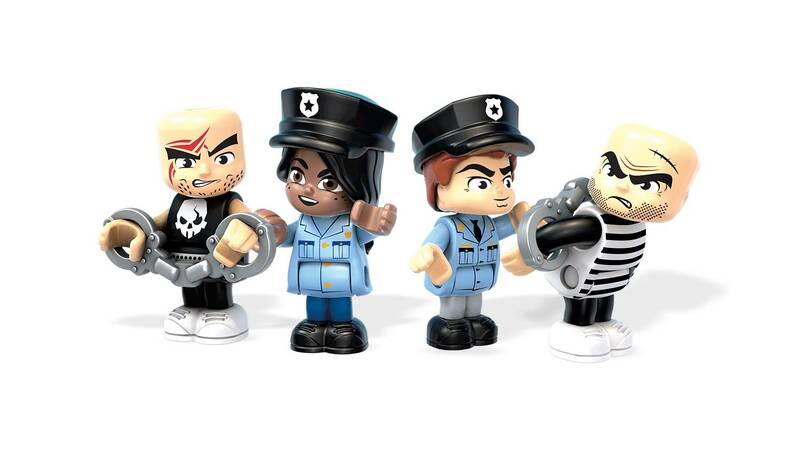 Serve and protect the city by building the police station, then play a game of cops and robbers when these partners in crime make a run for. 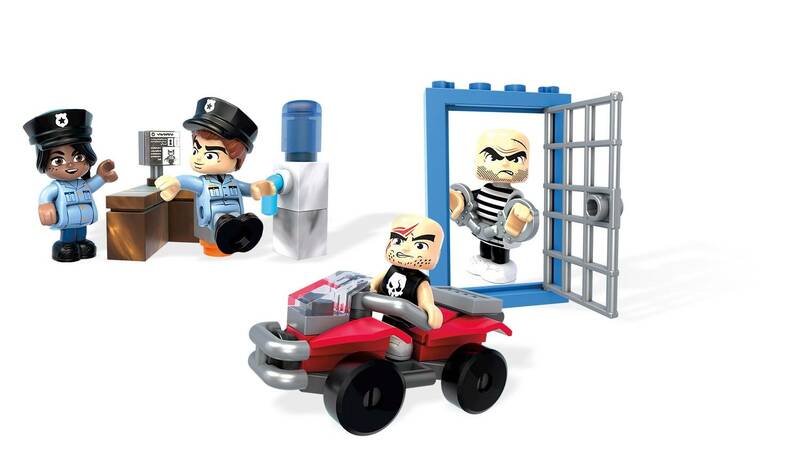 Chase the culprits up and down the precinct, and put them back behind bars before they can make a break for it in their getaway car. 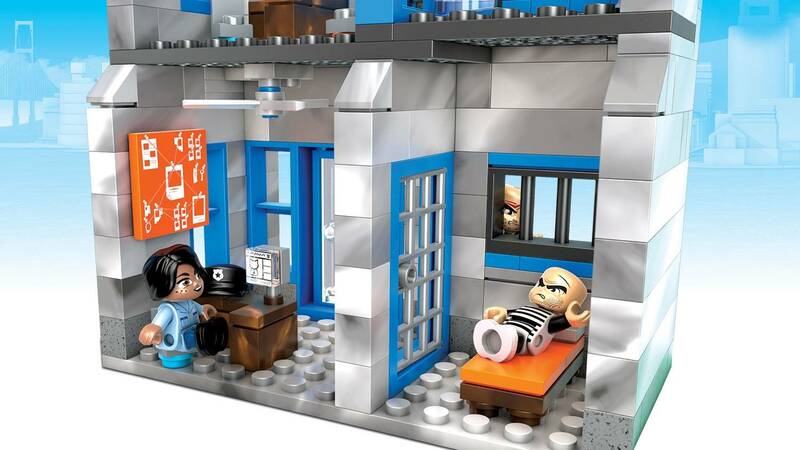 If you can’t do the time, don’t build the crime! • Includes 4 emoji speech bubbles to play out your story! 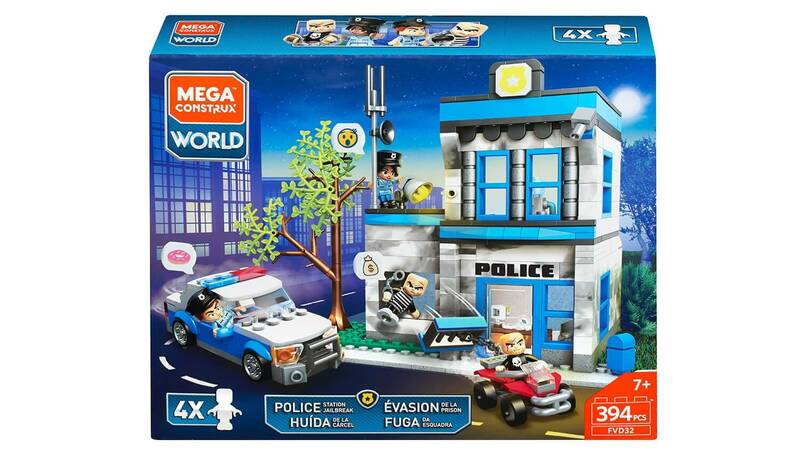 • Build your own big stories in the Mega Construx World™, and Build Beyond™!